The team from mio, offering Estate Agents a smarter way to manage the home buying process, proudly joined suppliers from across the property industry to support Agents Giving’s ‘Donate a Food Parcel Day’ on 21st June 2018 – and marked the first of many good deeds for charity. 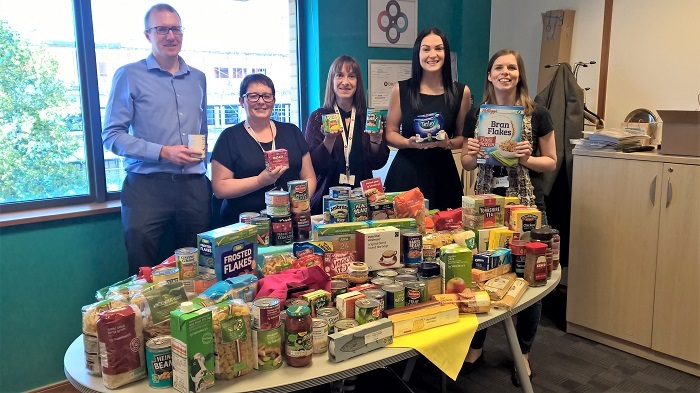 Coinciding with Relocation Agent’s ‘One Thousand Items of Food’ campaign, people from across the property industry were invited to prepare food parcels for The Trussell Trust foodbanks – and help to support those living in crisis across the UK. 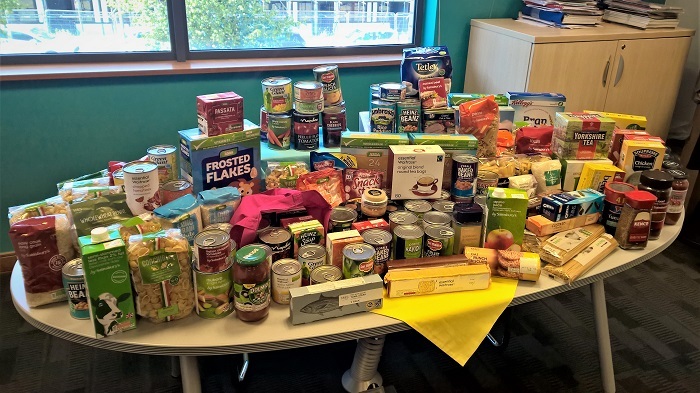 Supported by their colleagues across tmgroup, the mio team embraced the opportunity and collected a total of 163 items, including cereals, tins of soup, tea bags, biscuits and dried pasta, for their nearest foodbank in Cirencester. Since entering the market with a successful pilot programme back in 2017, mio has been helping to increase transparency and efficiency across the home buying and selling process with their new collaborative sales progression and communication platform. With time-saving features, including centralised communication and secure in-app messaging, mio offers Estate Agents a smarter way to manage the home buying process. mio is a chain building and sales progression tool created by property experts for property experts. It speeds transactions forward, reduces fall-through rates, and helps estate agents win more business.